phauna.org: celebrating income tax day! You tax what you don't want, right? Let's see, let's tax cigarettes and pollution-generating activities, because we'd all be better off without these, right? And let's tax income because we'd all be better off... hmm..
Income taxes are partially financing our drones overseas killing innocent people. I don't want to finance drones overseas killing innocent people. So I don't want to pay taxes. I do like to earn income though, for food and shelter and video games and other life necessities. Taken a little further, income taxes mean I have to choose between my survival and the survival of someone I don't know in the middle east. Not pretty. 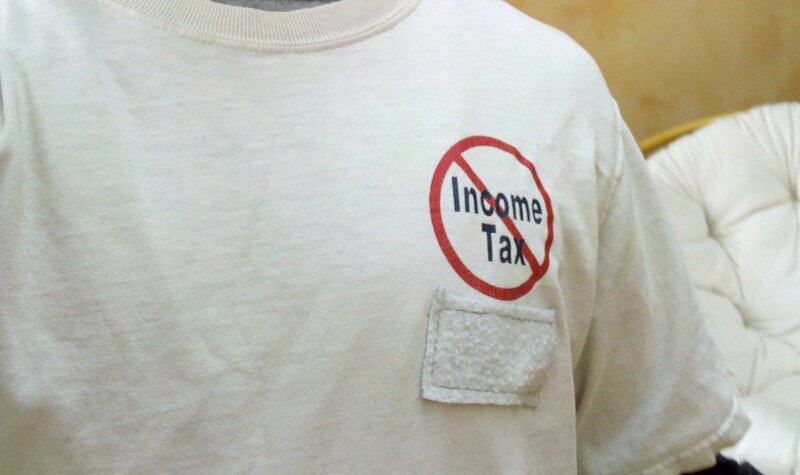 For the above reason, income taxes keep the pacifists from wanting to be wealthy. Wouldn't it be neat if we had a bunch of wealthy pacifists? I wonder how they would invest their capital?